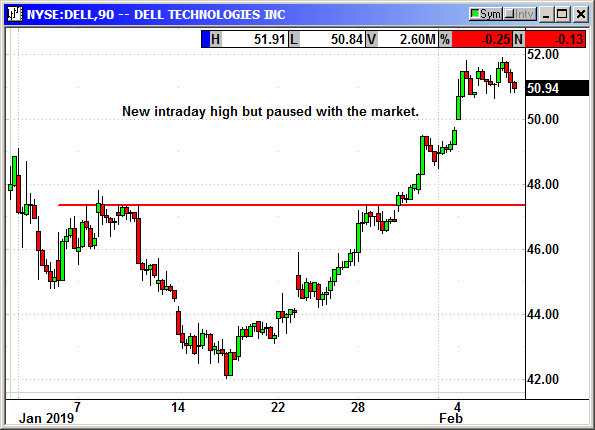 Wednesday's minor decline was just a consolidation pause. 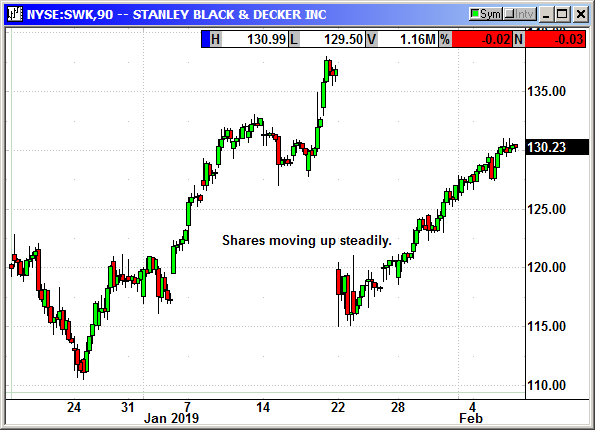 There was a serious lack of market moving headlines and the indexes just chopped around in a holding pattern as some traders closed positions and others bought the dip. 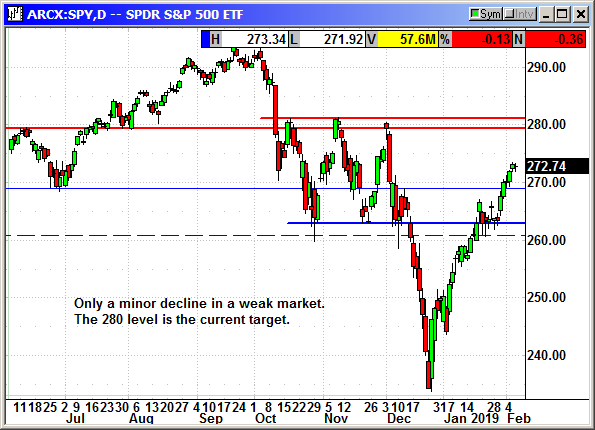 The minor 6 point drop on the S&P and 21 on the Dow was just noise. 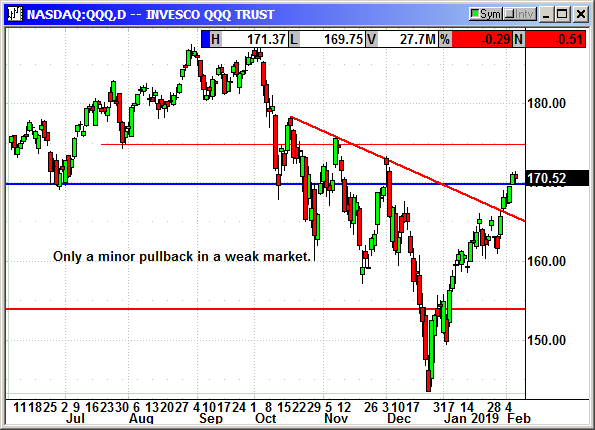 The trend remains higher until a real decline appears. The long position was stopped out at $156.85. 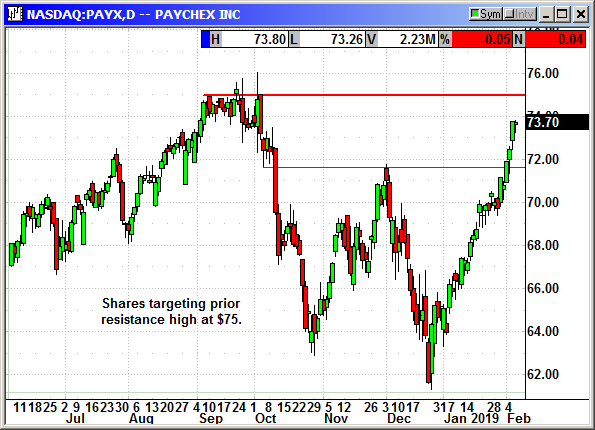 The long position was stopped out at $184.45. No specific news. Shares closed $1 under the prior high on Tuesday and then dropped $4 at the open today in a weak market. We were stopped out of this profitable position. The stop was tight because it was a February option. 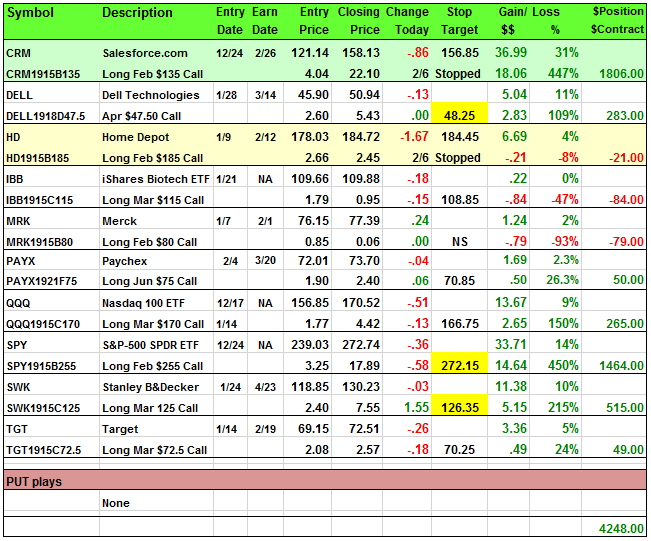 Closed 2/6: Long Feb $135 Call @ $4.04, exit $22.10, +18.06 gain. No specific news. Minor decline in a weak market. No specific news. 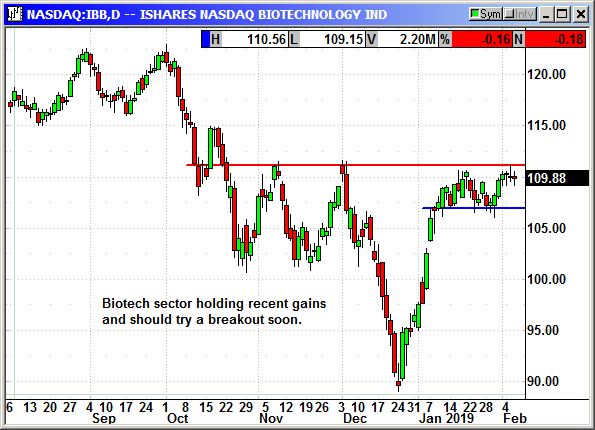 Shares declined in a weak market to hit our tight stop for a minor loss. 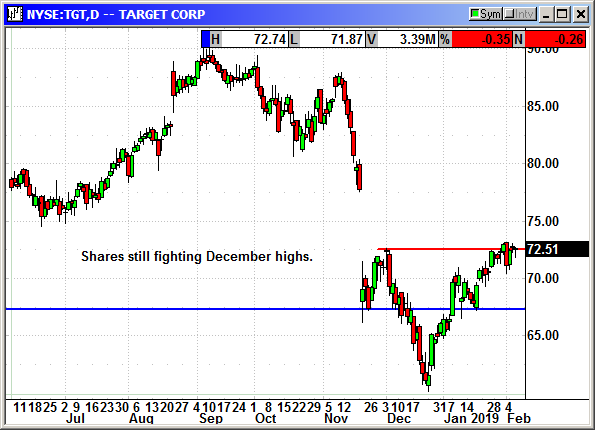 The stop was tight because it was an expiring February option. 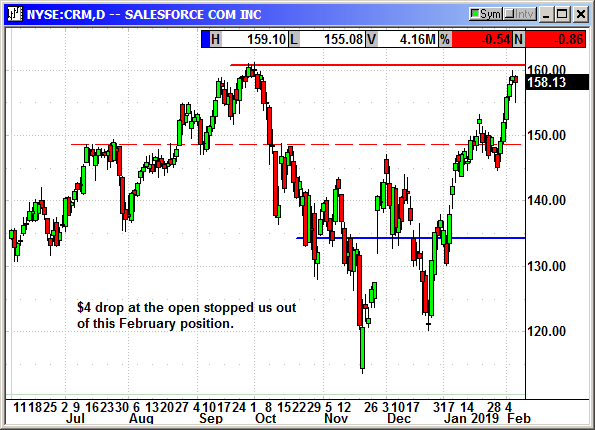 Closed 2/6: Long Feb $185 call @ $2.66, exit $2.45, -.21 loss. 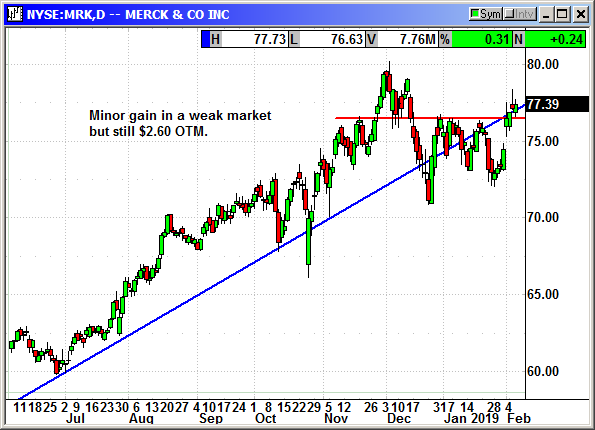 Merck was named the number one pharma pick by Bank of America. GlaxoSmithKline (GSK) agreed to pay $4.2 billion for Merck's KGaA cancer immunotherapy. Shares are still $2.60 OTM. 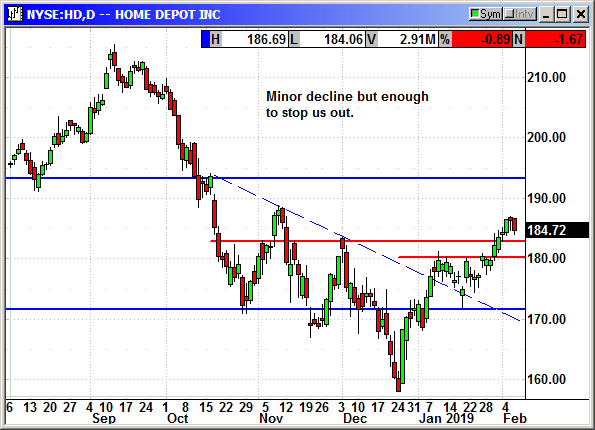 Minor decline and holding over light support at $170. 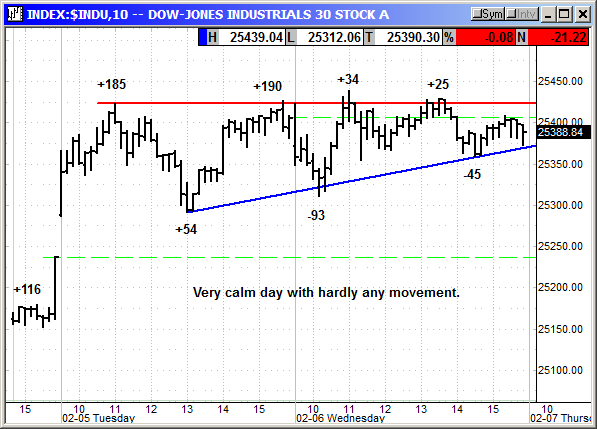 New 2-month high close and only a minor pullback today. 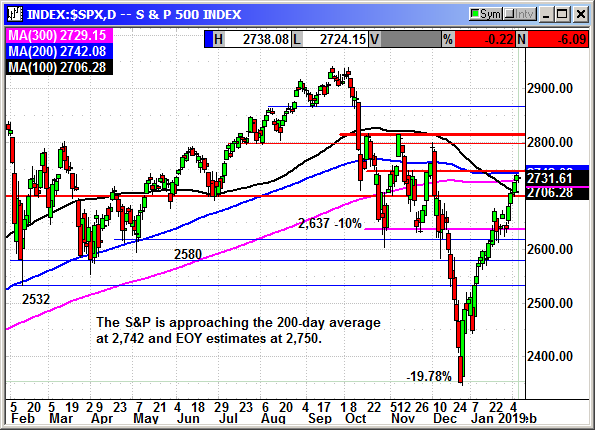 S&P 2800 is the current target. No specific news. Shares regained their Friday losses.